Darrelle Revis has valuable knowledge of the Patriots, and Tom Brady knows it. The highlight game of Week 7 is a divisional matchup between the New England Patriots and New York Jets with first place in the AFC East on the line. As they did for years in the past, Tom Brady will go up against Darrelle Revis, one of the top cornerbacks in the NFL. 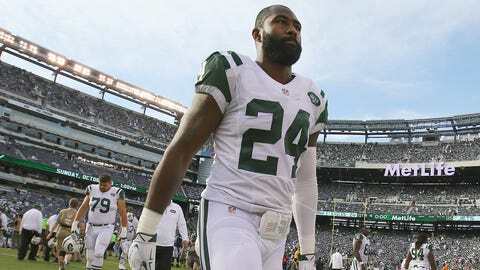 Revis has picked off three passes already this season, and recovered three fumbles. Like everyone else, Brady is impressed with the start he's gotten off to this season. While Brady was quick to say Revis is familiar with what the Patriots do, Bill Belichick was more reluctant to say the same. The Jets' new-look secondary will be the Patriots' toughest test thus far. With Revis, Antonio Cromartie, Marcus Gilchrist, and Calvin Pryor all on the backend, it won't be easy sledding for Brady.